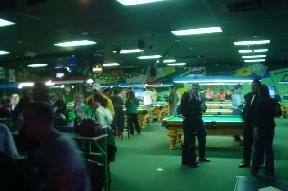 Book a pub party with friends and coworkers and receive unlimited pool and pizza! Enjoy the largest beer & wine selection in the area, newly felted pool tables, big screen TVs, live acts and more! Maggie's wants to host your party, so click here to make it happen! Play for free! 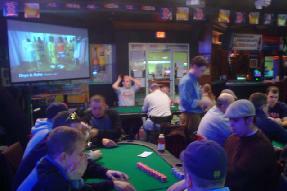 Join us every Wednesday night for the popular texas hold 'em league. Bring your friends and compete for prizes in a point system devised by our friends at Big Stack Poker. Tournaments start at 7 and 9 PM. Ask the bar about current beer specials like $2 pints!